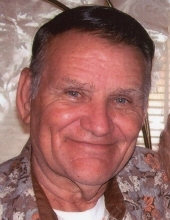 Keith Dale Phillips, age 85 years, a resident of Hambleton, WV and for the past few years a resident of Jane Lew, WV where he made his home with his daughter, Debra James departed this life Thursday morning, November 15, 2018 at the Crestview Manor at Jane Lew, WV surrounded by his loving family. He was born Tuesday, October 17, 1933 at Norton, WV a son of the late Edward Lee and Beulah Heaster Helmick Phillips. On June 20, 1957 at Baltimore, MD he was married to the former Gaynell Gail Hart (Sug), who preceded him in death November 11, 2009. They had celebrated fifty-two years of marriage. Surviving are one son, Kenneth Lee Phillips of Hambleton; three daughters, Debra Darlene James and husband Darrell of Jane Lew, Wanda Shiflett and husband Tim of Norton, Francis Lovie Phillips and spouse Wendy Dagnon of Montrose; one brother, Jerry Phillips and wife Ruth of Norton; four sisters, Edna Marie McCauley of Baltimore, MD, Katrine Irene Kidder of Parkersburg, Janice “Clary” Boserman and husband Jack of Mabie, Mary Jean Herron of Oakland, MD; one brother in law, Roy Lee Hart of Hambleton; several grandchildren, several great grandchildren, and several nieces and nephews. Preceding him in death are two grandsons, Tony Dale Phillips, and Daniel Allen Pennington; one daughter in law, Janice Phillips, two brothers, Jerry Lewis, and Walter Lee “Phil” Phillips; and two sisters, Rachel Mae Kirk, and Sandra Sue Hart. He attended the schools of Norton WV and was a veteran of the U. S. Navy from 1955 to 1957. He worked for General Motors Fisher Body Works in Baltimore, MD from 1957 to 1970, and was an electrician for the Island Creek Coal Company from 1971 to 1994, from which he retired. He along with his wife owned and operated the former Parsons Bowling Alley. After retirement, he worked with the Pennington’s reclaiming property after logging operations and at the Elkins Shop N Save. He enjoyed bowling with his wife, loved playing cards, played softball and was an avid outdoorsman, who loved to hunt and fish. The family will receive friends at the Lohr & Barb Funeral Home of Parsons from 4 to 7 PM, Saturday. Final Rites will be conducted at the funeral home parlor, Sunday, November 18, 2018 at 1 PM. The Rev. Jay C. Hart will officiate and interment will follow at the Fansler Cemetery at Hendricks, WV. To send flowers or a remembrance gift to the family of Keith Dale Phillips, please visit our Tribute Store. "Email Address" would like to share the life celebration of Keith Dale Phillips. Click on the "link" to go to share a favorite memory or leave a condolence message for the family.